BBC NEWS Country music legend Merle Haggard dead at 79. American country music legend Merle Haggard has died of pneumonia on his 79th birthday, his manager confirmed. Mr Haggard's former publicist Jim Della Croce told the BBC that the singer was as influential as the Beatles in country music. "He was the bottom line in country music and the gold standard to which every country artist measured himself," he said. "He was a nice guy with a great sense of humour. He was a very literate man." He is credited with helping to define the "Bakersfield sound", country music with a distinctive twang and lack of sophisticated production. Musicians gave their tributes to Mr Haggard on Twitter shortly following the news of his death. Ben Haggard (Merle's youngest son and lead guitarist in Merle's band, The Strangers) shared on Facebook: A week ago dad told us he was gonna pass on his birthday, and he wasn't wrong. A hour ago he took his last breath surrounded by family and friends. He loved everything about life and he loved that everyone of you gave him a chance with his music. He wasn't just a country singer.. He was the best country singer that ever lived. Rolling Stone magazine has described him as "the backbone of one of the greatest repertoires an all of American music, plain-spoken songs populated by the kinds of working people Haggard grew up with: farmers, hobos, convicts, widows, musicians and drunks". Country musician Luke Bryan tweeted that "a true hero was lost". "Literally just fell to the floor. Can't believe we lost the hag. RIP Merle Haggard,"tweeted country musician Dierks Bentley. Merle Haggard Dies On His 79th Birthday: He was dubbed “The Poet Of The Common Man.” With the passing of Merle Haggard – on his 79th birthday – this morning, one of the most distinctive song stylists in musical history takes his final bow. Instead his lasting legacy as a songwriter is likely to be the controversial 1969 composition, Okie from Muskogee, which was co-written with the late Roy Edward Burris. But is the song a celebration of simple American life, a satirical joke at right-wing America or a protest song about hippie counter-culture? The Telegraph traces the timeline of a song that means different things to different listeners – and seemingly to Haggard himself. Click play wait a few seconds for the audio to buffer. "Merle Haggard, possibly the greatest country singer and songwriter of all time—certainly of my generation"
On Monday, March 27th 1978 The International Country Music Awards was a feature at the Wembley Festival. Before the show came to a grand finale with Moe Bandy, Ray Lynam & The Hillbillies and Merle Haggard! 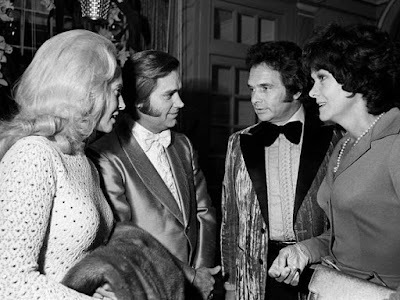 >> "Makeup and Faded Blue Jeans"
Merle Haggard & Tammy Wynette >> "Today I Started lovin' You Again"
Country Music Hall of Fame member Merle Haggard, born April 6, 1937 in Bakersfield, Calif., passed away Wednesday, April 6. He was 79. In an era when journalists and fans often saw Country artists through a prism of sub-genres – Outlaw, honky-tonk, Western swing, traditional, and so on – Merle Haggard was one of the few who defied easy categorization. More than that, his gifts as a songwriter stood him apart from nearly all of his contemporaries and earned him a place in Country Music’s most select company of performing balladeers, with Kris Kristofferson, Hank Williams, and very few others among his peers. His accomplishments were many. His catalog included nearly 600 songs, almost a third of them conceived without cowriters. Thirty-eight of them topped the Country charts, beginning with “The Fugitive” in 1966; one of these, “Today I Started Loving You Again,” has been covered nearly 400 times. He was elected to the Nashville Songwriters Hall of Fame in 1977, the Oklahoma Music Hall of Fame with its inaugural inductees in 1997 and in 2007, to the Songwriters Hall of Fame. And in 1994, the Country Music Association’s anonymous board of selectors bestowed the genre’s greatest honor by welcoming him into the Country Music Hall of Fame. Along with dancer/choreographer Bill T. Jones, composer Jerry Herman, Paul McCartney, and Oprah Winfrey, he was a Kennedy Center Honors recipient in 2010. His other accolades include a 1984 Grammy Award (Best Country Vocal Performance, Male, for “That’s the Way Love Goes”) and six CMA Awards, including the coveted Entertainer of the Year Award in 1970. Little in Haggard’s early years suggested that his destiny was to become an American music icon. 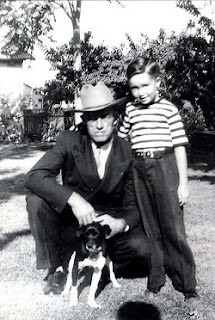 Born in Bakersfield, Calif., Haggard was the son of Oklahoma transplants. a carpenter for the Santa Fe Railroad, earned just enough to house his family in an old boxcar they’d turned into living quarters. The elder Haggard’s sudden death from a stroke precipitated the 9-year-old boy’s slide into a life of rebellion and eventually crime. He ran away from home for the first time at age 10, riding a freight train as far as Fresno. At 15 he was briefly jailed when falsely convicted of robbery. Just five years later, in 1958, convicted this time of burglary and attempted escape from a county jail, he was sentenced to two and a half years at San Quentin. Merle Haggard performed Friday, June 20th in The Working Man’s Show and George Jones joined him as a special guest during the 26th Annual Fan Fair 1997, The World’s Biggest Country Music Festival in Downtown Nashville. Haggard put his time there to good use, taking high school equivalency courses and playing with fellow inmates in a Country band. When released in 1960, he returned to Bakersfield and committed himself full-time to music. Many more were to follow, a good number of them now considered classics. Real-life themes threaded through Haggard’s works – themes of desperation (“Hungry Eyes”), regret (“Mama Tried”), restlessness (“White Line Fever”), and fury over life’s injustices (“Workin’ Man Blues”). Few songs in any genre drew as deeply from the heart’s capacity for sorrow over the loss of love (“Silver Wings”) and life itself (“Sing Me Back Home”). Few captured that volatile blend of irony, resignation, and anger that simmers in the heat of neon saloon lights as evocatively as Haggard (“Swinging Doors” and “The Bottle Let Me Down”). Whether defiant (“The Fightin’ Side of Me”) or humorous (“Okie from Muskogee”), his lyrics spelled out his beliefs with conviction and plain-spoken eloquence. Like his singles, Haggard’s album catalog offers plenty of releases made memorable not just by their consistent excellence but also by their eclecticism. 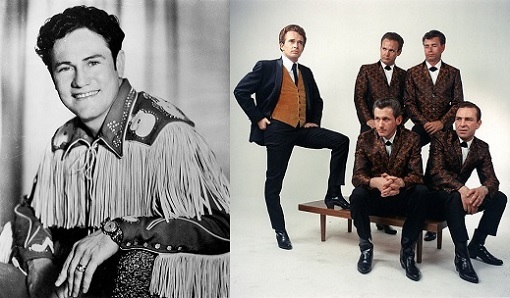 These include duo projects with George Jones (A Taste of Yesterday’s Wine, 1982) and Nelson (Pancho & Lefty, 1983) and celebrations of Jimmie Rodgers (Same Train, a Different Time), Bob Wills (A Tribute to the Best Damn Fiddle Player in the World), traditional jazz (I Love Dixie Blues), and bluegrass (The Bluegrass Sessions). The singer/songwriter also left his mark with “Sing Me Back Home,” an autobiography written with Peggy Russell, and several appearances as an actor on television (“Centennial,” “The Waltons”) and in film (“Killer Three” and in a singing duet with Clint Eastwood in “Bronco Billy”). Haggard battled health issues in his final years, though he also kept a busy working schedule. In 2008, he underwent surgery to remove a tumor from his lungs but was back onstage just two months later. In this stage of his career his output included songs that were inspired by the possibilities (“Hopes Are High”) and bitter over the failures (“That’s the News”) of modern politics. He defended the Dixie Chicks when they were assailed for their views of President Bush, developed a fascination with UFOs and snarled his outrage in a Rolling Stone interview over DEA agents who insisted on flying over his California property to check out exactly what he was growing. He was to the end a singular figure in and beyond Country Music, a bard blessed with the gift of turning his extraordinary story into songs that nearly everyone could embrace as if they had written each one themselves. “I’ve probably got 300 to 400 songs that I haven’t released that I collected over the years. As first reported in May of 2015, in an interview with Broadway of Country 92.5 in Connecticut, Merle has a massive cache of songs that have yet to be released. We call it ‘The Archive. '” And we haven’t released anything from that. When I get unable to record or sing anymore, or get killed or something, well they’ll probably put it out,” said Merle. Though Merle released a record with Willie Nelson last year called Django & Jimmie, his last proper solo release was October 2011’s Working in Tennessee. 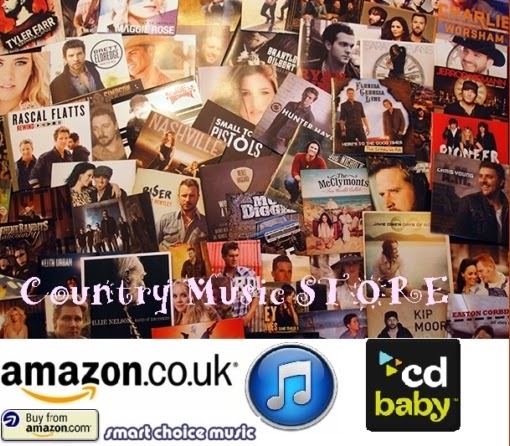 Willie Nelson (82) and Merle Haggard (78) together the country legends logged the oldest duo ever to have a chart album, on the Official UK Top 100 Album Chart (week ending June 13, 2015) thanks to their new (sixth) collaboration DJANGO & JIMMIE. The title track was a nod to jazz great Django Reinhardt and country singer Jimmie Rodgers, both of whom died tragically young. The album made a debut at No.66 (1,506 sales) bringing - despite their enormous experience (recording careers in excess of 50 years) Nelson his fourth UK chart album (all since 2012) and Haggard his first. Blake Shelton ‏Incredibly sad tonight.. Goodbye Merle Haggard. Brad Paisley There are no words to describe the loss & sorrow felt within all of music with the passing of Merle Haggard. Thank God for his life & songs. Brantley Gilbert ‏We lost a legend today...A true inspiration to all of us...Our prayers are with his entire family.... RIP Merle. CCMA ‏RIP Merle Haggard: country music legend, Country Music Hall of Fame member, Grammy Award Winner and icon. Chris Young "There will never be another artist like the Hag." R.I.P. Merle Haggard. Country2Country Country to Country wish to pay tribute to a legend of country music Merle Haggard. He was a true icon and will be sorely missed. David Nail - "The night I saw Merle at the Golden Nugget it was the single greatest combination of seeing an artist/venue/city together that I've ever witnessed. It was a spiritual experience. I looked at my buddy multiple times in disbelief that we were actually there. I teared up on a few songs. I knew the greatness I was seeing/hearing." Dolly Parton We've lost one of the greatest writers and singers of all time. His heart was as tender as his love ballads. I loved him like a brother. Rest easy, Merle. Duane Eddy ‏We can never thank you enough for all the great music...we love you, Merle. Rest in peace. Dustin Lynch - "The musical role model of my role models. ... The Hag is the reason I play guitar and sing ... Thank you Merle ... we will keep flying the flag!" Easton Corbin - "Merle Haggard is my biggest hero. The way he sang, the arrangements to his songs, the lyrics. He just embodied to me what country music is about. When guys like him sing, he just really makes you feel it because he did live it. One of the biggest highlights in my career is meeting him. I got to shake his hand and take a picture with him and he signed my guitar. I think that’s one of the coolest things ever. Him passing, makes that all the more special. Having those influences shapes who you are as an artist." Granger Smith Merle Haggard Your name will be honored. Your music celebrated. Your legacy never forgotten. Country music will live on. I'll be sure of it. 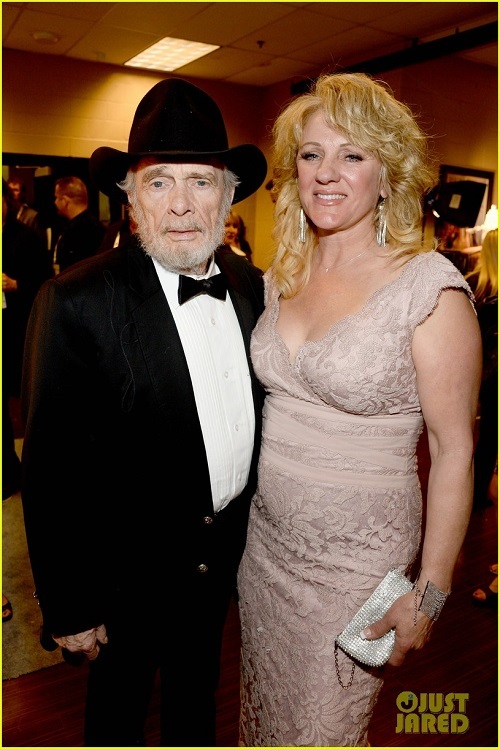 Gretchen Peters on Facebook: Merle Haggard was a gateway drug for me. 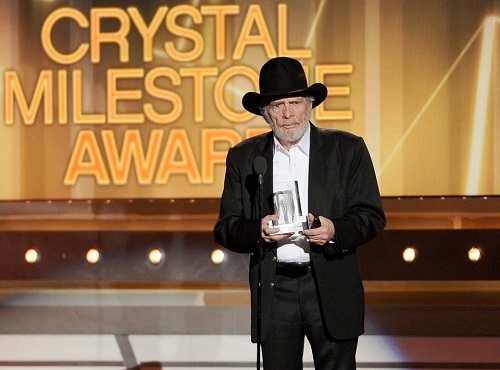 From Gram Parsons & Emmylou Harris I eventually got to George Jones, Tammy Wynette, etc - but Merle was my way in. I always thought of him as the John Steinbeck of country music. I could hear the folk music, the Woody Guthrie in him. He got this 19 year old folkie from New York past my stereotypical impressions of country music, because the stories and the characters were so compelling and so real. Mama's Hungry Eyes. If We Make It Through December. He elevated and celebrated Everyman, the same way that Woody did. His Serving 190 Proof album was the one that I picked up just as I was discovering country music, and I wore the grooves off of it. Iain Anderson Show (BBC Scotland) Rest in Peace, Merle. Jason Isbell Merle Haggard was the best country songwriter there ever was. Keith Urban "One of the great concert memories I have is seeing Merle and the Strangers at the Ryman in Nashville. We had a live album of his when I was growing up, and I felt like I’d fallen inside my dad’s stereo speakers. One of my all-time favorite voices and a master songwriter. Blessings to your soulful spirit, Merle, and all of your family and loved ones." Kenny Rogers - The great storyteller, his voice and his personality will be greatly missed. He was a true original. Kristian Bush - "I just looked and he still had shows coming up. I am sad he is gone. What an amazing career, a life forgiven and turned, invented and reinvented, written and rewritten. He is an inspiration because he never gave up." Leah Turner Wow , what a sad day ... RIP meryl haggard ... You were the soundtrack 2 to so many lives ! Prayers to Haggard family ..
Michelle Wright posted Thank you Merle. Your'e one of the biggest reasons that I do what I do. Here's a little tribute from me to Merle. Loved him. 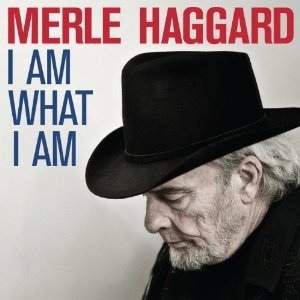 Mickey Guyton ‏RIP Merle Haggard. Heaven's choir just got a heck of a lot better. Neal McCoy - "Nobody sang better or with more heart than Merle Haggard. It was an honor to spend time and share the stage with him on many occasions. Merle had a special way of making everyone around him feel like a friend, after just a short time with him. He just made folks feel special. I don't feel like he ever really knew, or cared, how big of a star he really was, and there is real beauty in that. Gonna miss Haggard, we all will." Sarah Darling ‏I'm very sad to hear of the passing of legend Merle Haggard today. You paved the way for #country music. SarahBethKeeley Fans says goodbye to Merle Haggard. On behalf of #KeeleysKrew we pass our deepest condolences on to. Shania Twain I’m so sad to hear we’ve lost Merle Haggard. His music was a staple in our home, growing up. Suzy Bogguss Sad beyond words. Fly with the angels Merle. You did a great job here on earth. 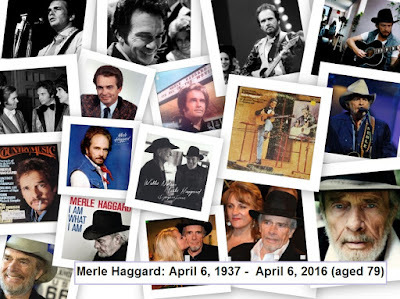 UMG RIP #merlehaggard. Country music wouldn't be the same without your influence. Vince Gill This is a video of Vince from a few years back...Rest in Peace @merlehaggard, you will be missed by everyone. Whitney Rose I'm thinkin' there was a special pair of silver wings waitin' for him in heaven. Rest in peace, Merle Haggard, and thank you for everything you've left behind. 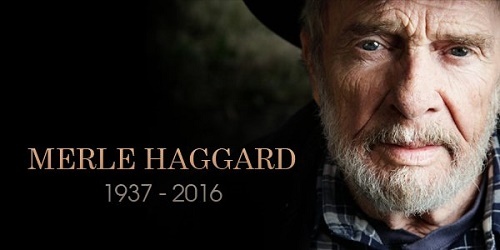 Mr. Haggard was the recipient of two Grammys and was the only California-born inductee in the Country Music Hall of Fame. WIFE #1: Mr. Haggard was first married to teenage sweetheart Leona Hobbs from 1956 to 1964. Haggard's marriage to Hobbs was tumultuous and often violent. "It was horrible for a child to witness," Haggard's oldest daughter, Dana, has said. "I seen blood, I seen terrible things." Haggard was touring and rarely home, and the kids barely knew their dad. 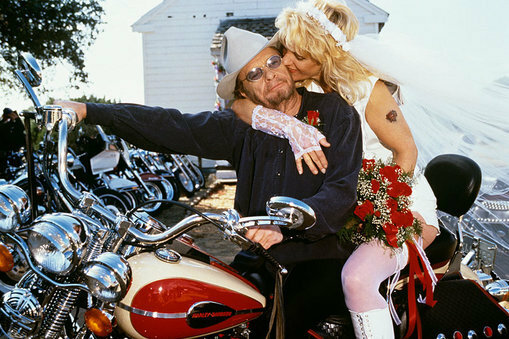 "Most of the time we called him 'Hey,'" said Haggard's daughter Kelli. Billie Leona Hobbs Witherspoon, 66, of Bakersfield, died on July 9, 2006. She was a waitress in 1956 when she married Merle, an unknown singer who was more into crime than becoming a country legend. 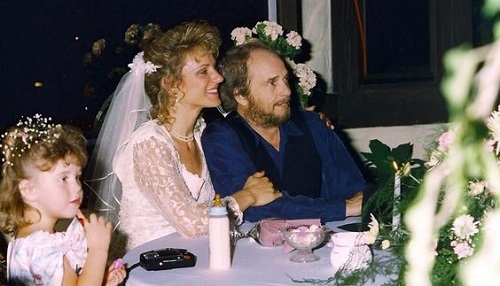 WIFE #3: On Saturday 7 October 1978 Haggard married Leona Williams; they divorced in 1983. 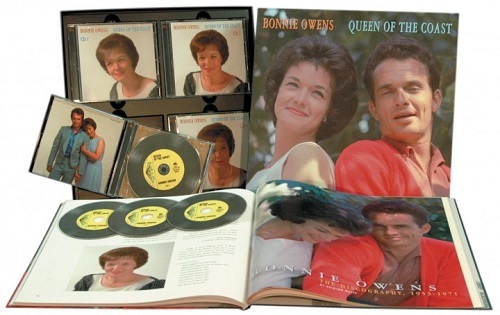 When Haggard divorced Bonnie Owens, Leona became the featured vocalist they combined to write several songs and recorded an album together but the marriage soon proved turbulent. 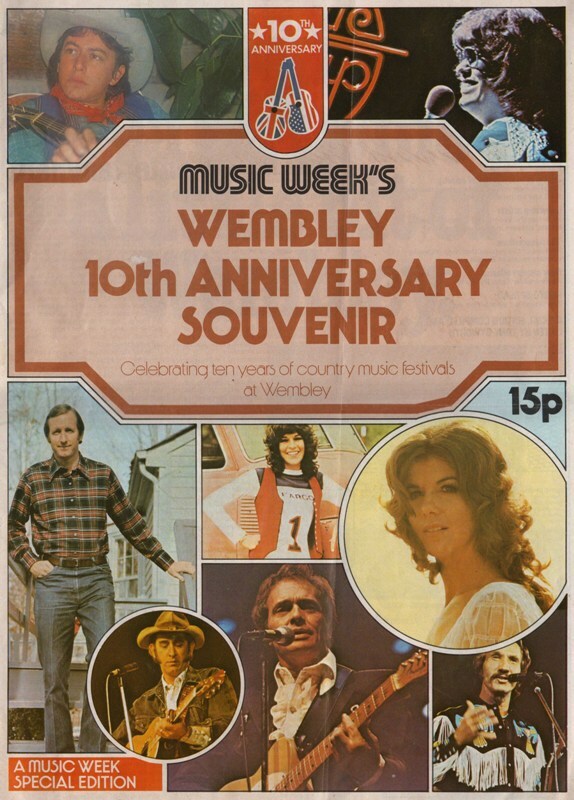 In 1978, they had a #8 US country hit with ‘The Bull And The Beaver’ but in 1983, when the marriage ended, they appeared in the charts with the appropriately named ‘We’re Strangers Again’. She later married songwriter and guitarist Dave Kirby. WIFE #4: In 1985 Haggard married a waitress named Debbie Parret; they divorced in 1991. "I was partyin' pretty hard. I'd canceled all my dates, and I was in heavy mourning. And I was probably smoking pot, smoking Camels and drinking George Dickel – we did that for about five months. It was an isolated time when I really lost it for a while. Losing my best friend, and bad love affairs, you know. And spending way too much money." One of Tanya Tucker's famous amours included Merle Haggard (who was 21 years her senior). Tanya paying her respects said she recalled fondly the time they ate bologna sandwiches by the river: "I just can't imagine a world without Merle. It's so hard to accept, but I'll continue honoring him on stage just as I do during every show." Mr. Haggard had 11 grandchildren and three great-grandchildren, which he called a "blessing" but also described as a burden. "It's a strange feeling to be the one in charge of what some people might call a dynasty," he said. "They expect me to have answers, even when I don't." The singer is survived by fifth wife Theresa Ann Lane and their two children, Jenessa and Ben, along with four children from his first marriage (Leona Hobbs from 1956 to 1964) Dana, Marty, Kelli, and Noel. Funeral services for MERLE HAGGARD were private and took place at his home studio in PALO CEDRO, CA on SATURDAY, APRIL 9th. Country singers Connie Smith and Marty Stuart participated in the service. "I found out that Merle had preplanned his own service," said Stuart, quoted in the TENNESSEAN. "He requested that Connie sing 'Precious Memories,' that [Connie and I] sing his song, 'Silver Wings,' and that I officiate the service. We're honored to do it."